"You can vary this dump cake by using apple pie filling and white, golden, or spice cake mix. Serve with whipped cream or soft ice cream." Bake at 350 degrees F (175 degrees C) for one hour. Cool. 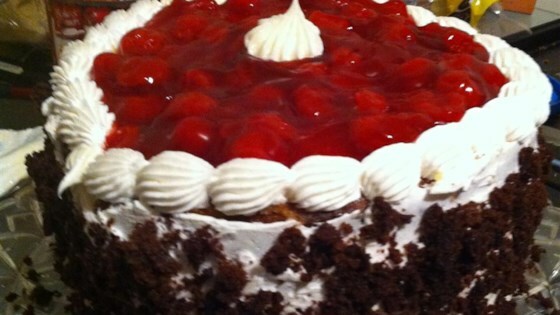 See how to make a rich Black Forest cake in the slow cooker! This one is a hit. My 5 year old grandson made it and the whole family and friends loved it.He was beaming from ear to ear when we told him it was delicious. I've made this recipe twice. It always receives RAVE reviews and everyone wants the recipe. Excellent! Took this cake to a church event and everyone LOVED IT! Very easy and very tastie. Well make it again.